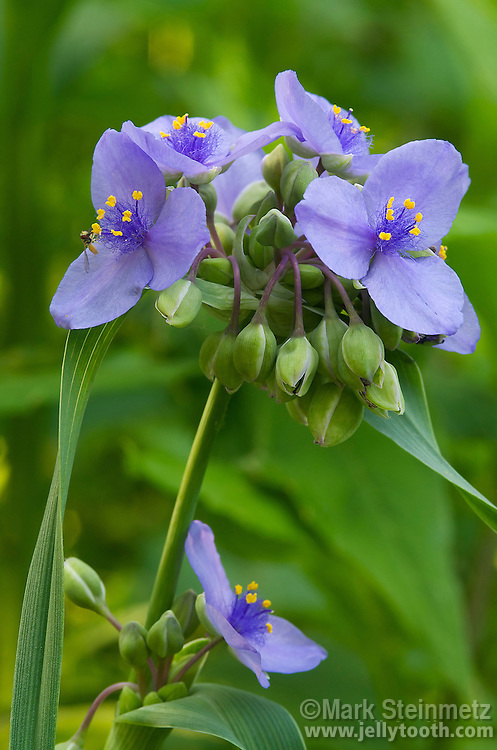 Ohio Spiderwort (Tradescantia ohioensis). Largely a prairie species. The distinctively hairy filaments of the flowers in this genus have long been a favorite specimen of biology students for observing cytoplasm and nucleus of living cells under a microscope. The genus Tradescantia is named in honor of John Tradescant the Elder (c. 1570 - 1638), the famed British botantist, who was also gardener of Charles I. All Tradescentia are native to North and South America.